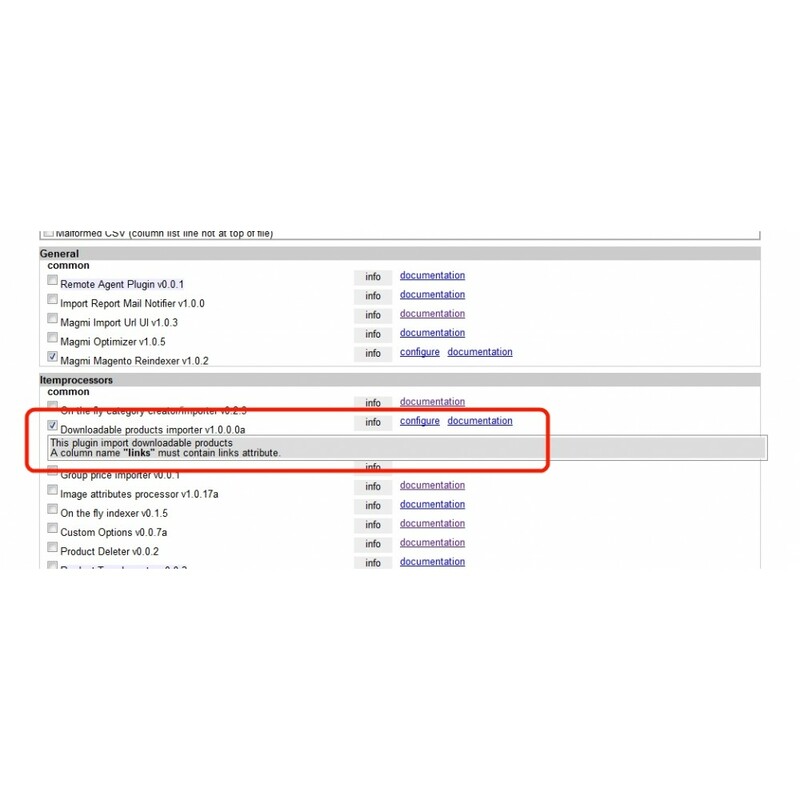 Downloadable products plugin adds downloadable products import capabilities to Magento Mass Importer (Magmi). 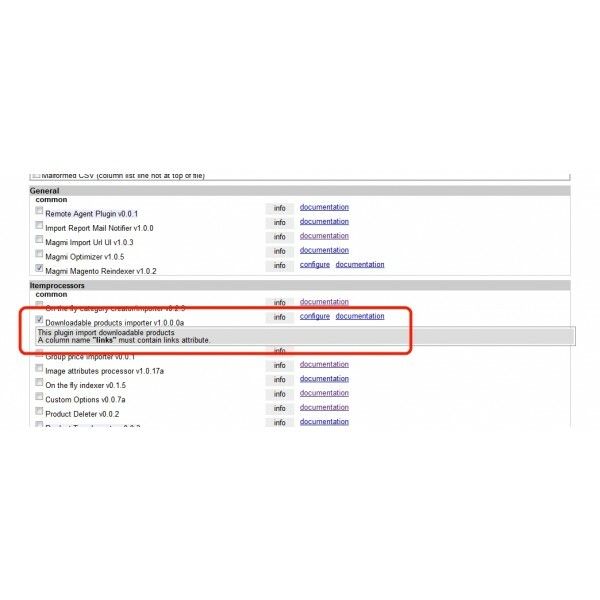 Magmi (for Magento Mass Importer) is a catalog importer tool for Magento. 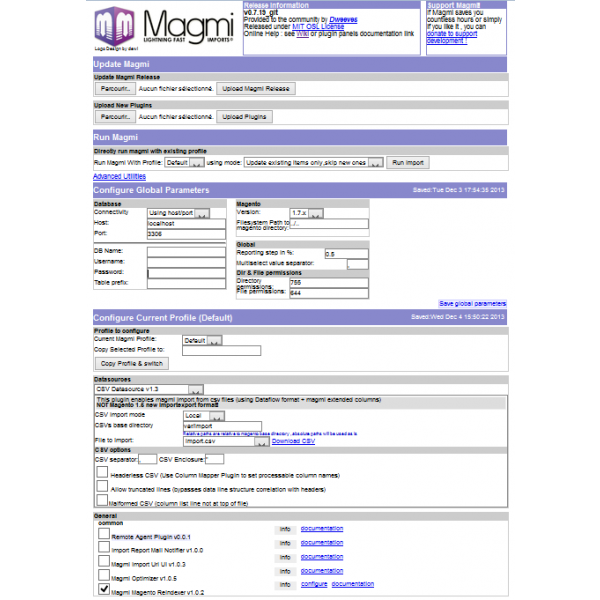 Designed to import directly products via SQL, Magmi is very fast and can process large number of products. 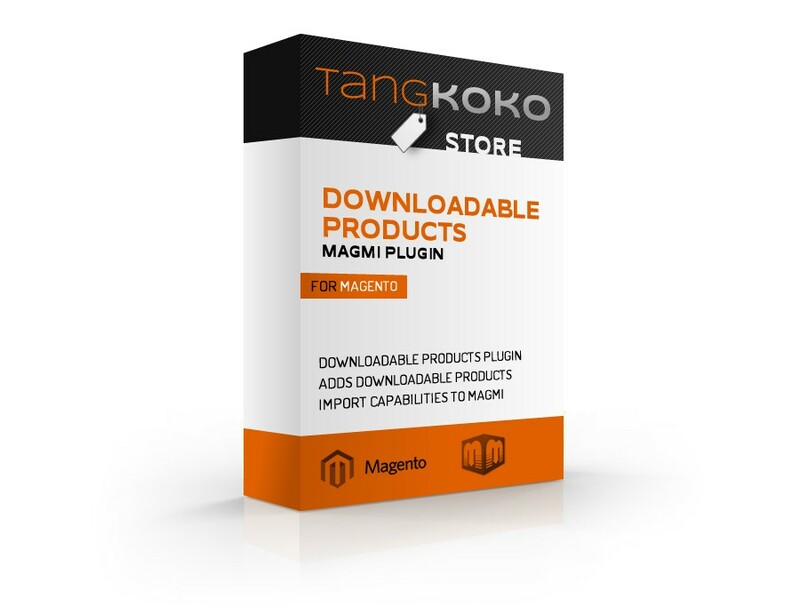 Downloadable products plugin implements import of downloadable products via Magmi. This tool is a Magmi plugin. Magmi must be installed and configured. For more information, please check the Magmi documentation. Uncompress the archive and place the directory downloadable and his content in the directory magento-install-dir/magmi/plugins/extra/itemprocessors/.